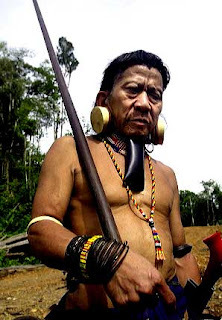 MAGICK RIVER: People of Sarawak, Free Yourself from the Clutches of The Beast! People of Sarawak, Free Yourself from the Clutches of The Beast! 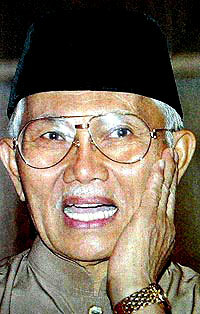 Taib Mahmud, Chief Minister of Sarawak since 1981, owns rapacious corporations like Naim Cendera and Cahya Mata Sarawak. 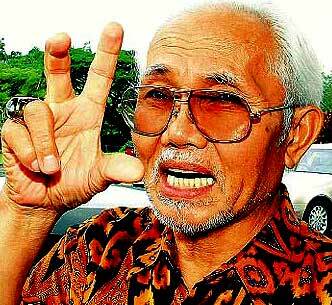 Taib refuses to answer questions thrown at him regarding his wealth. 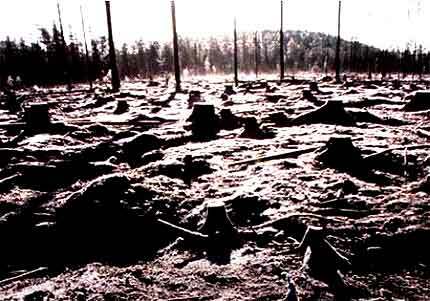 His long reign as "Robber Baron of Sarawak" has become synonymous with ecocide and ethnocide on a massive scale. INITIALLY the leaders of Sabah (then British North Borneo) and Sarawak were opposed to Malaysia or at best gave it a lukewarm welcome after it was proposed by Tunku Abdul Rahman on May 27, 1961 at the Foreign Correspondents Association in Singapore. “Let us become independent first and then we will decide whether to join Malaysia or not,” said Tan Sri Ong Kee Hui, the Kuching mayor and leader of the Sarawak United People’s Party (SUPP), formed in 1959. Other prominent Sarawak leaders like Datu Abang Haji Openg – later the first local governor – and Abang Mustapha Abang Haji Abdul Gapor who are also members of the Council Negeri, considered the oldest legislature in the country, were unanimous in their opposition to the Tunku’s plan. They contacted leaders from the other territories to see whether they should revive the idea of a federation of Borneo states of Sabah, Sarawak and Brunei instead. Many of the leaders believed that Malaysia’s formation was not really meant to benefit the people of the two territories but more to provide a solution to solve the problems of Britain, Malaya and Singapore. Britain needed to withdraw from the East but it could not just up and go without ensuring its former colonies’ survival. 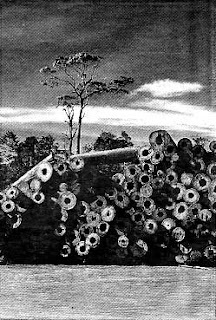 Malaya wanted to increase the number of bumiputras to ensure that their numbers were bigger than the others. Singapore, threatened by communists, wanted security. The leaders opposed the plan because they feared their people would be at the mercy of the commercially superior Chinese whose numbers would increase with Malaysia, and they also feared that they would eventually be sidelined by the more politically sophisticated Malays. They also worried that their culture and polity would be gradually eroded. Thus, discussions were held on such issues as religion, education and finance where early assurances on these matters were made. Most of the discussions centred on the Sabah All-party 20-point memorandum and the Sarawak 18-point memorandum containing matters the two territories wanted to safeguard. But mostly the focus was on religion, constitutional safeguards, immigration, special position of the indigenous people, language, education and fiscal arrangements. But even while discussions were still at the early stages, more and more leaders and their people gradually began to voice support for the plan. 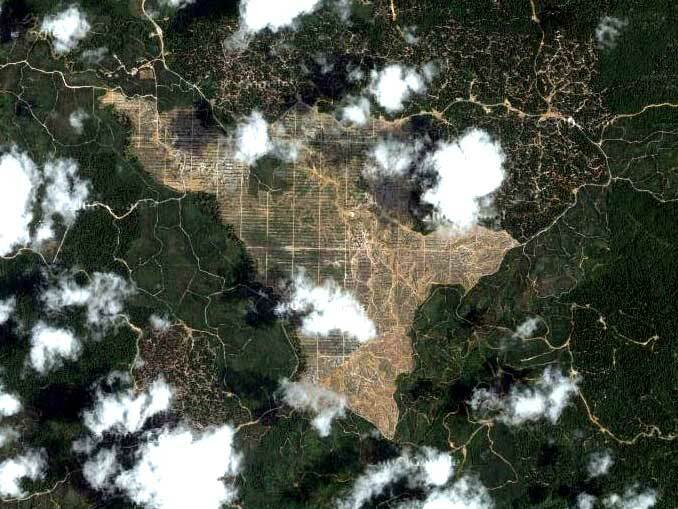 The recent announcement that the Sarawak government intends to build 12 more dams in Sarawak apart from the ill-fated Bakun dam is cause for concern. It is a cause for grave concern. 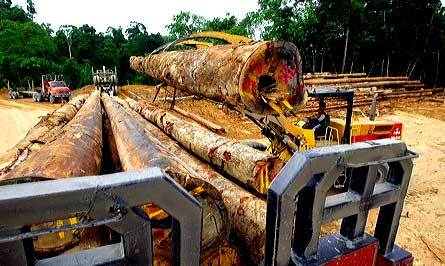 Malaysian tax payers, Malaysian forests and Malaysian indigenous people will again be the main victims of this misconceived plan. The stop starting since the damned project was first proposed in the seventies, the proposal and abandonment of the aluminium smelter, the upsizing and downsizing of the dam, the inclusion or exclusion of the undersea cable project are all symptomatic of a wanton disregard for planning. Let me remind Malaysians of the ludicrous inconsistencies of official policy on this damned project. In 1980, the Bakun dam was proposed with a power generating capacity of 2400MW even though the projected energy needs for the whole of Sarawak was only 200MW in 1990. The project was thus coupled with the proposal to build the world’s longest (650km) undersea cable to transmit electricity to the peninsula. An aluminium smelter at Bintulu was also proposed to take up the surplus energy. 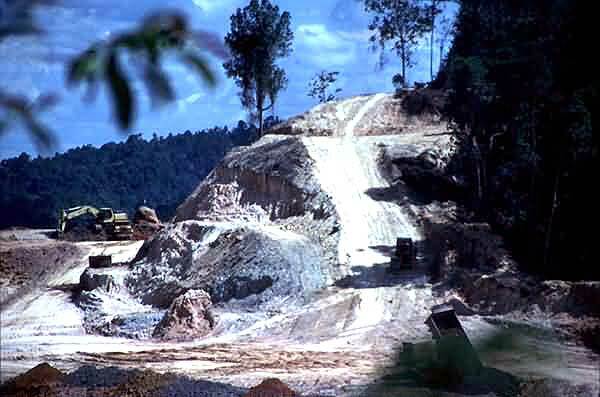 In 1986, the project was abandoned because of the economic recession although then Prime Minister, Dr Mahathir Mohamad announced just before the UN Conference on Environment & Development in Rio that this was "proof of Malaysia’s commitment to the environment". In 1993, with the upturn in the Malaysian economy, the government once again announced the revival of the Bakun hydro-electric plant project. To cushion the expected protests, the then Energy Minister S. Samy Vellu gave Parliament a poetic description of a "series of cascading dams" and not one large dam as had been originally proposed. Before long, it was announced that the Bakun dam would be a massive 205-metre high concrete face rockfill dam, one of the highest dams of its kind in the world and it would flood an area the size of Singapore Island. The undersea cable was again part of the project. There was also a plan for an aluminium plant, a pulp and paper plant, the world’s biggest steel plant and a high-tension and high-voltage wire industry. 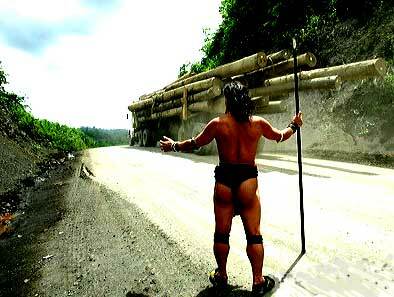 Then in 1997, with the onset of the Asian financial crisis, the Bakun project was put on hold for the second time. But the scandal was, while the anthropologists in all Malaysian universities were sound asleep, the government proceeded to remove 10,000 indigenous people made up of fifteen different ethnic groups from their ancestral lands. All this happened while the project was on hold and Malaysians shouted "Malaysia Boleh!" In 1999, after the economy had recovered, the government again announced that the project would be resumed, albeit on a smaller scale of 500MW capacity. Before long in 2001, the 2400MW scale was once again proposed although the submarine cable had been shelved. Today, we read reports about the government and companies still contemplating this hare-brained scheme which is now estimated to cost a whopping RM21 billion! Not only that, we now hear that 12 more hydroelectric dams will be generating a total capacity of 7000MW by 2020 – an increase of 600 percent from its current capacity! Ultimately it will be the Malaysian consumers who pay for this expensive figment of the chief minister’s wild imagination. Enough tax payers’ money has been wasted - Sarawak Hidro has already spent some RM1.5 billion on the project. The human cost has been immeasurable - 10,000 indigenous people have been removed from their ancestral lands in 1998 even while the project had been shelved. If the prime minister really wants to know the state of the Malaysian energy industry, he should ask for independent audits on every power station in the country. These should preferably be done by reputable international audit authorities from outside Malaysia. We are told that TNB is now selling off property, power stations are not working at full capacity and that the electricity industry is hugely indebted. Right now, the country is being fed conflicting reports about energy demand. There is supposed to be a 43 percent oversupply of electricity capacity in peninsula Malaysia. Experienced Bakun dam watchers will tell you such conflicting and mutually contradictory assertions have been used by dam proponents to justify every flip flop of this misconceived project. Aluminium smelters to take up the bulk of Bakun electricity have been mentioned ever since the conception of the Bakun dam project because they are such voracious consumers of energy. Even so, has there ever been any proper assessment of the market viability of such a project with the cheaper operating costs in China? Does it matter that the co-owner of one of the smelters is none other than Cahya Mata Sarawak (CMS) Bhd Group that is controlled by Chief Minister Taib Mahmud’s family business interest? Clearly, Bakun energy and Sarawak’s tinpot governance do not inspire confidence in investors. 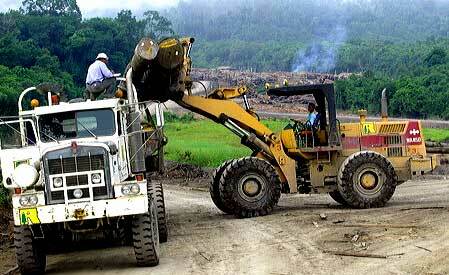 First it was Alcoa, and then Rio Tinto also had second thoughts about investing in Sarawak. The social atrophy among the 10,000 displaced indigenous people at the Sungei Asap resettlement scheme remains the wicked testimony of the Mahathir-Taib era. The empty promises and damned lives of the displaced people as forewarned by the concerned NGOs in 1999 have now been played out. DR KUA KIA SOONG is director of Suaram. Thank you for sharing this post, and those very powerful images. Dams are still a popular method of gaining energy, simply because they have been done before. However, I find it ironic that in developed countries they are trying to take dams down, while in developing countries they are putting them up. We need to skip this stage and go straight to new, clean, alternative energy providers. You are most welcome... and so absolutely right!